Spanish Christmas Lottery online. 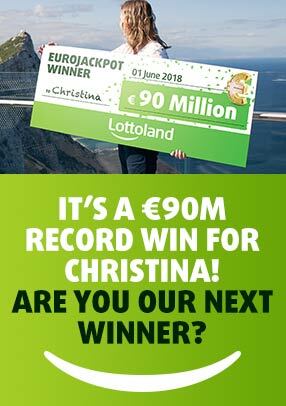 Win El Gordo with Lottoland! What makes this draw so popular? The biggest lottery in the world! Best odds of any multi-million jackpot – by far! What is the Spanish Christmas Lottery? With its €2.3 BILLION prizepool, the Spanish Christmas Lottery is the BIGGEST lottery in the world. This incredible event takes place on 22nd December in Madrid and until recently was only available in Spain. Now you can win all the same prizes – including the “El Gordo” top prize – by betting on the draw at Lottoland. The chances of winning are fantastic! You are 1400 times more likely to win the “El Gordo” main prize than the EuroMillions jackpot, for instance. Over 1800 numbers are picked to win a prize between €1,000 and €4 million, and even if you don’t win “El Gordo”, there’s a massive 1-in-7 chance of winning a prize! Playing the lottery is a huge Christmas tradition in Spain – it’s so popular that nearly every Spanish person buys a ticket. The draw is a major highlight of the Spanish festive season. Everyone comes together to watch it all unfold, looking out for those special numbers that will make it an unforgettable Christmas! Typically, the local shop sells the same number from different series, which means it’s very common to see an ENTIRE Spanish village celebrating a big win! Many friends and families also pool their funds to buy a full share for the chance to get rich together. Why not do the same and share a ticket with your loved ones?